On-demand movie streaming service Redbox Instant, a joint venture between Redbox and Verizon Communications, is now available on LG’s Smart TV platform. Over 40 models are supported at launch, allowing users to connect to the service and start watching content without any additional hardware or set-top boxes. Redbox announced the support over on Twitter this morning, along with a one month free trial to try to entice potential users to the service. Redbox Instant, which is still in beta at the moment, is also offering a separate subscription package that combines its streaming service with its physical disc rental service. For $8 per month, users can take out four DVDs from its kiosks strewn across the United States and Canada, as well as have unlimited access to its video on-demand and streaming movie service. The model is a departure from its domestic competitors Netflix and Amazon Instant Video, which is focused almost solely on providing a digital streaming service (Netflix offers physical disc rentals, but they’re being promoted less and less). The approach by Redbox Instant mimics that of LOVEFiLM Instant in the United Kingdom, Germany and Scandinavia; both offer a physical DVD rental service in addition to various streaming apps. Both have rather limited catalogs at the moment, so it gives users access to a wider range of content at any one time. Given that some films are still released on DVD well before they hit Netflix or Amazon Instant Video, it’s a nice backup for consumers. LOVEFiLM and Redbox differ, however, in the way that they distribute physical DVDs. While LOVEFiLM is a delivery service, whereby users create a ‘most-wanted’ list online and then wait for discs to be posted to their door, Redbox offers physical, self-service kiosks. Consumers have to travel to these – which is never ideal – but it does mean that they can pick and choose exactly what they want. 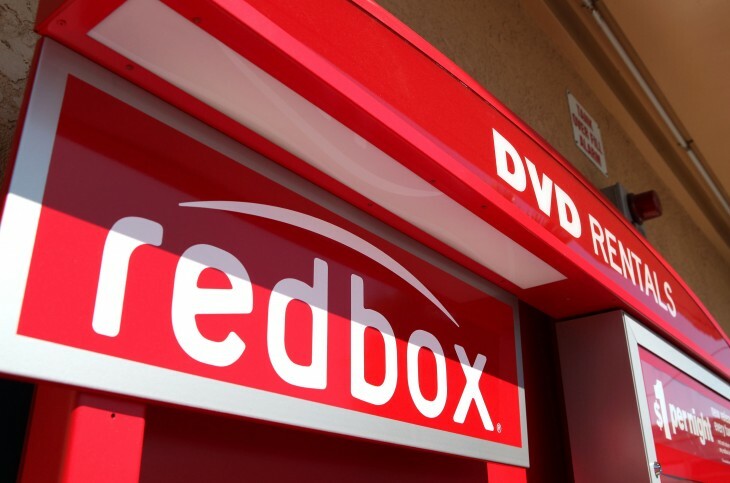 In March, Redbox hit 1 million film and video game disc rentals in Canada, 10 months after launch. Some of that success can be attributed to the demise of movie rental stores such as Blockbuster, but it shows that there’s still a market – albeit perhaps a diminishing one – for disc rentals. Redbox Instant launched in December with electronic sell-through (EST), which means that consumers can download a movie to their device and watch it later when they’re offline. iOS and Android apps followed shortly afterwards, as well as an Xbox 360 app in February. It’s early days for Redbox Instant, but if the service is to stand any chance of competing with Netflix and Amazon Instant Video, the company will need to make sure that it’s available on as many devices as possible. LG Smart TVs is just the tip of the iceberg.